Music can help dementia and Alzheimer’s patients recall memories and emotions, according to research. After learning this, three Middle Year Programme (MYP) students at Middle School of the Kennebunks, in Kennebunk Maine, US, were inspired to develop a project to help residents at a local care home. 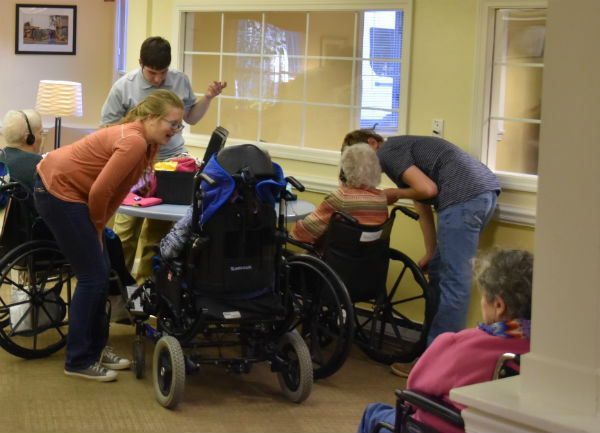 As part of Project Playback, Juli Ennis, Jason Albaum and Colby Ellis regularly visit the Kennebunk Nursing Home for Health and Rehabilitation – where many residents have memory loss or dementia. The students share music from the residents’ past to stimulate positive memories. 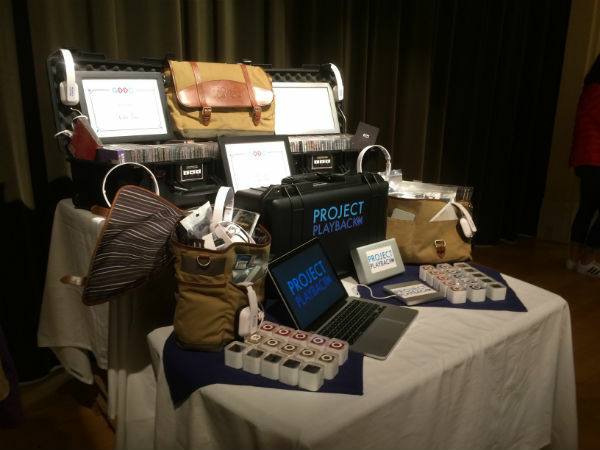 “Our mission is to provide musical care to improve the mental, emotional, and social wellbeing of those who are suffering from Alzheimer’s Disease or dementia, where the cognitive function of the brain begins to decline,” says Colby. 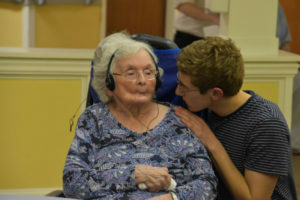 As the students had all been members of the school’s concert and jazz bands, and had formed a jazz combo, the initial idea for the project was simply to travel around local nursing homes, putting on different performances for the residents. 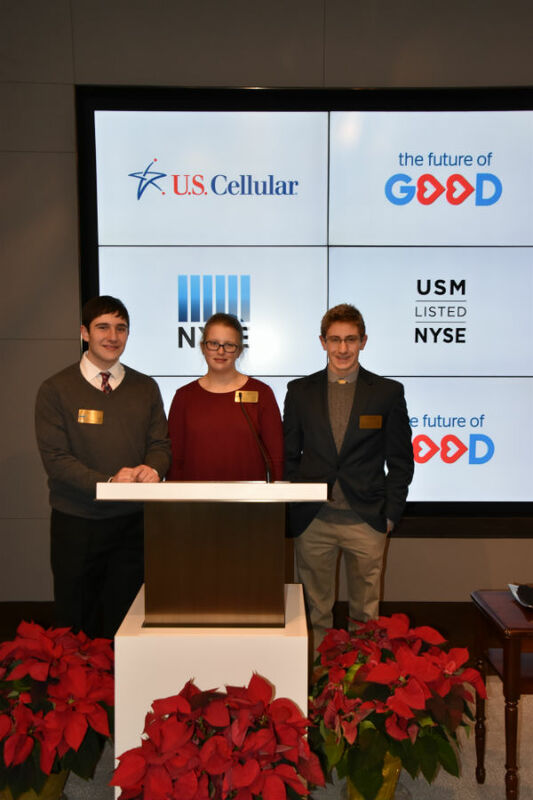 “However, after careful consideration, we decided that this kind of short-term engagement couldn’t really have a lasting impact,” says Colby. After watching a documentary called Alive Inside, which explained how music from a person’s past can bring back memories that have been lost due to Alzheimer’s or like diseases, the three students decided to try this approach. 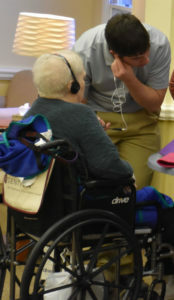 Many of the residents now have their own individualized playlists, which includes their favourite music. “For residents that cannot recall their favourites, or are unable to communicate that information to us, we contact their family to get to know their preferences,” explains Jason. The students have also created more generalized playlists based on time periods and genres for some patients. They often incorporate other special songs, such as wedding songs. With the help of U.S. Cellular’s Future of Good campaign – which recognises young people’s community efforts – the students received a grant of equipment worth US$10,000–including headphones, iPods, a laptop to store and create playlists, and hundreds of CD’s to allow them to download music for residents’ playlists. Students are also working with the local United Way of York County to recruit and train volunteers to help expand Project Playback into other nursing homes. “With this equipment, as well as the new volunteers, which we hope to train over the summer, we hope that this project can expand into more nursing homes over the next couple of years,” says Colby.